(11-23-2018, 08:06 PM)mike_the_kraken Wrote: The most beautiful thing in my den is an empty container of soap, balm, or aftershave. This signifies a wonderful journey filled with great shaves, and the excitement of what’s yet to come. 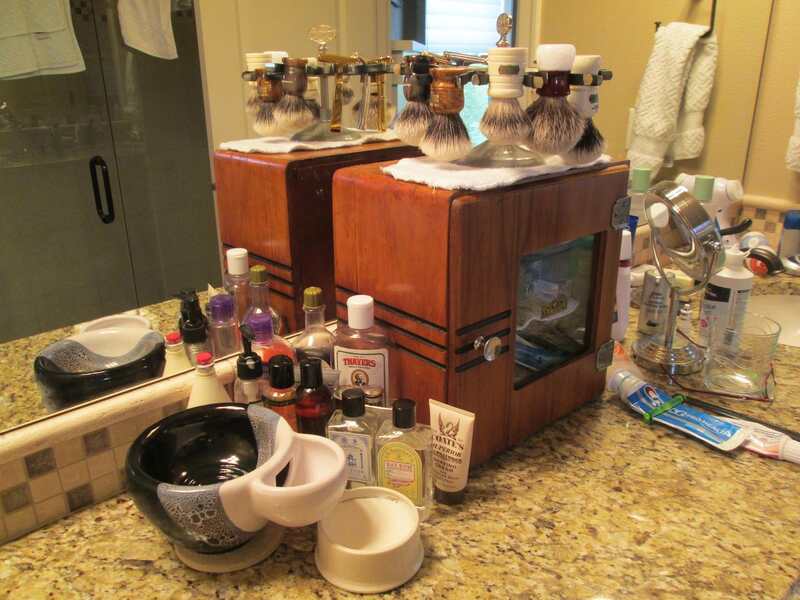 My favorite is an antique barbers cabinet salvaged from one of the last old-fashioned barber shops. 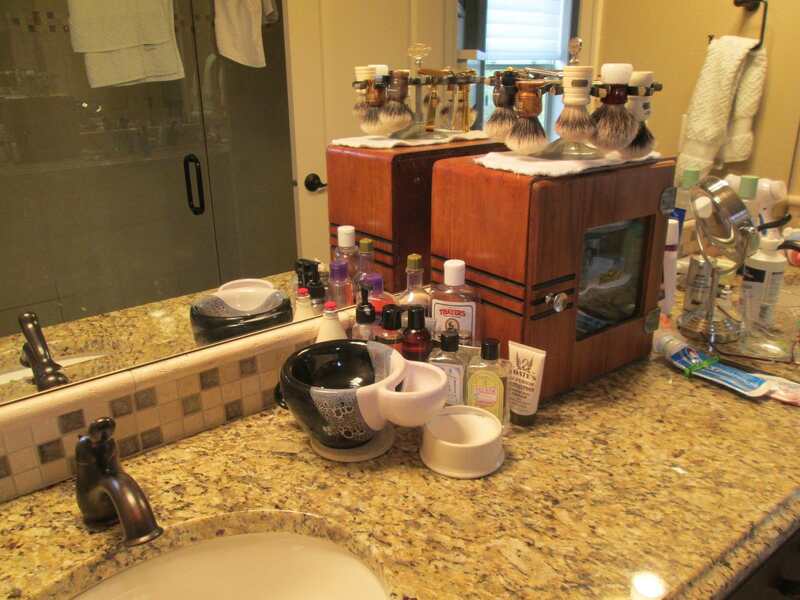 (11-24-2018, 10:42 AM)Barrylu Wrote: My favorite is an antique barbers cabinet salvaged from one of the last old-fashioned barber shops. Wow, that is indeed a thing of beauty. Can’t make make out the brand name on the front panel? An order button would be better. I am fortunate enough to have many beautiful things. 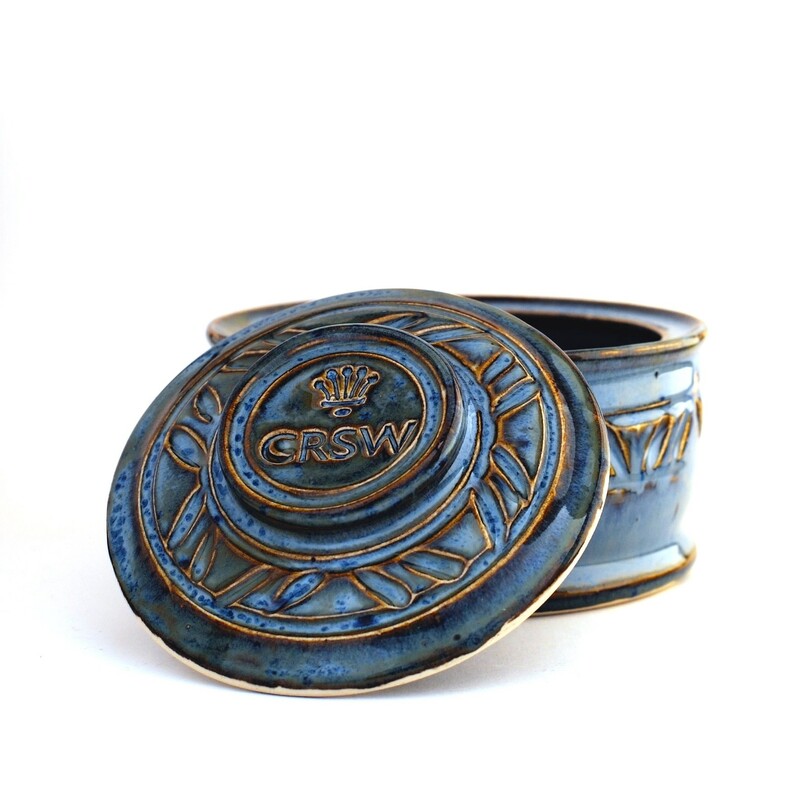 If I had to pick just one...F4 Chrome Toggle replate by Chris Evatt. It glows. 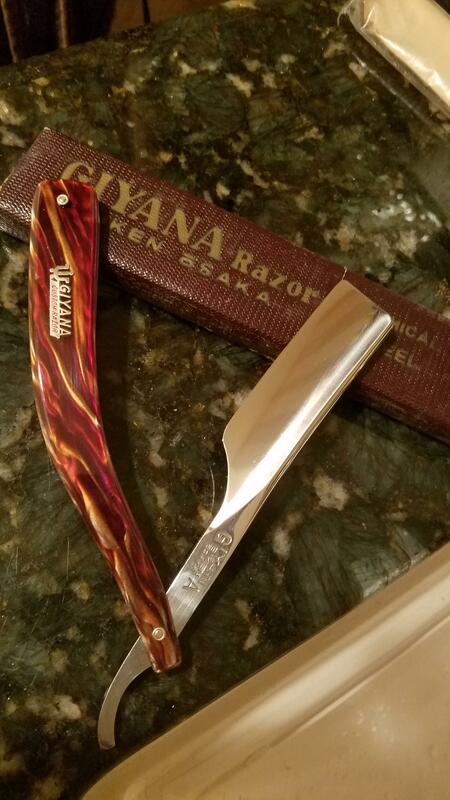 This 5/8 Torrey 992 razor I gave myself as a Christmas gift a few years ago. I like the mother of pearl in the tang. 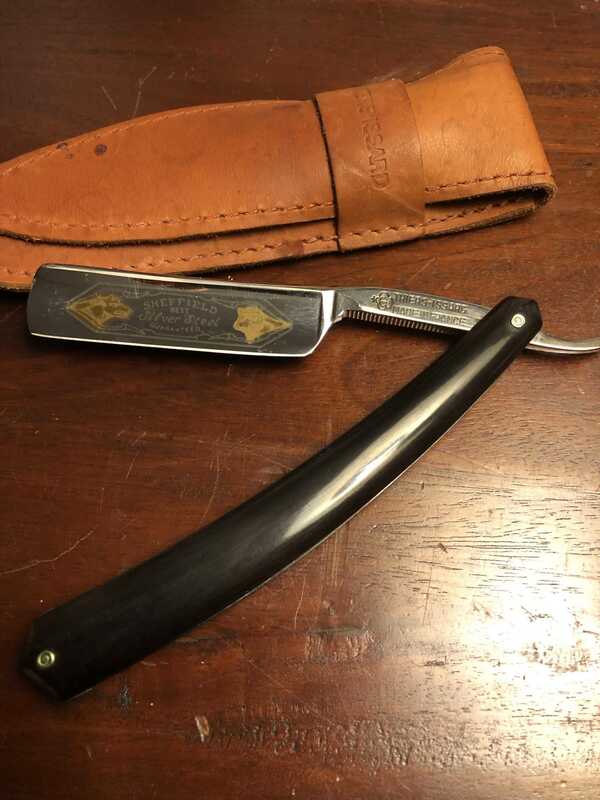 Its sharpness contributes to the beautiful shaving experience. It needs to be cleaned up but I just found this after misplacing it after a move. Wow! How to choose. I'm going to go with just visual beauty. Not the best shave, or best feeling knot. Just what is prettiest to look at, and even that is tough. 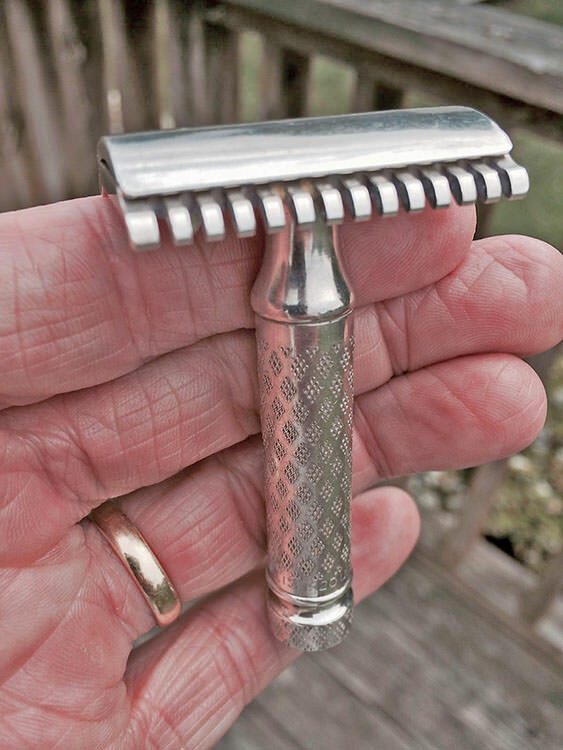 A Timeless razor? For me there is something about nice brushes. It comes down to two. 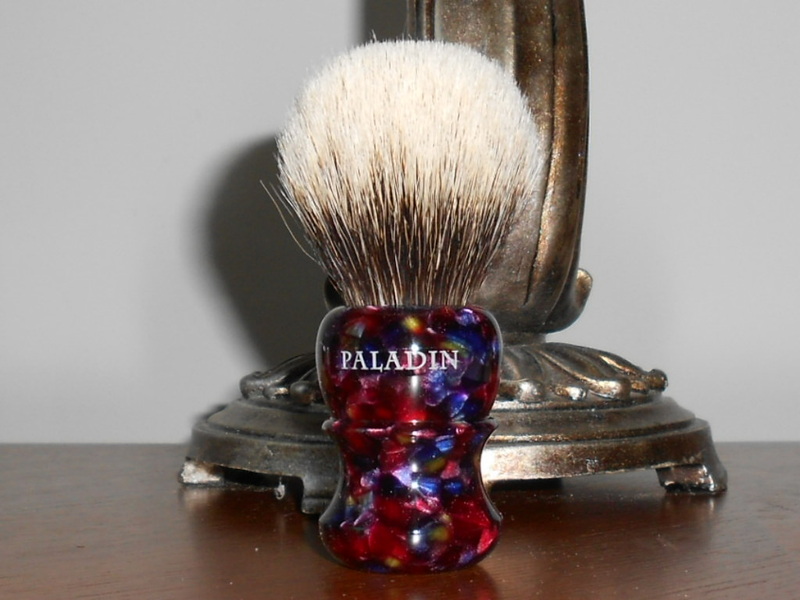 A Shavemac ebonite handled beauty and a Paladin PK47 Harlequin. It is so close. Bernd's knot is amazing and the handle took a nice shine, but there is something about the Harlequin. 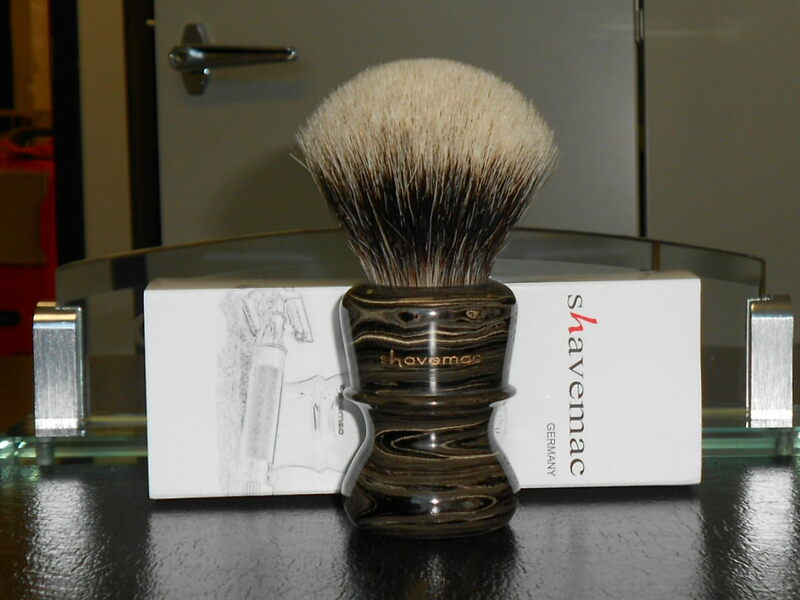 This is the Shavemac that gives it a run. That is a good question. Today's answer is the Tuckaway. (11-16-2018, 07:42 AM)nikos.a Wrote: So, which is the most beautiful item in your den? The woman (my bride) who asked me not to post a photo of her on a public forum. An answer like that can only come from a smart and VERY happily married gentleman! Your bride is a blessed and very lucky lady. (12-23-2018, 07:31 AM)49erShaver Wrote: An answer like that can only come from a smart and VERY happily married gentleman! Your bride is a blessed and very lucky lady. Well, in about three weeks, I shall have been VERY happily married for 47 years; it appears that — possibly — this marriage will last. However, she does not feel very lucky when a broadcast of the 49ers is in progress; I had been a fan of the Niners for 12 years before the first time I met her. Y. A. Tittle has passed; Joe Perry has passed; John Henry Johnson has passed. With only Hugh the King surviving, we have only $250,000 worth remaining of the Million Dollar Backfield backfield. The marriage is a sure bet! The 49ers are not. Your time as a fan was I believe in the great 50's. I was a huge fan during 80's & 90's with golden Joe and a little with Steve Young. When team owner Eddy transferred ownership of 49ers to his brother in law the team sadly went down hill and never recovered since. Too bad. I'd say my wolfman wr2. 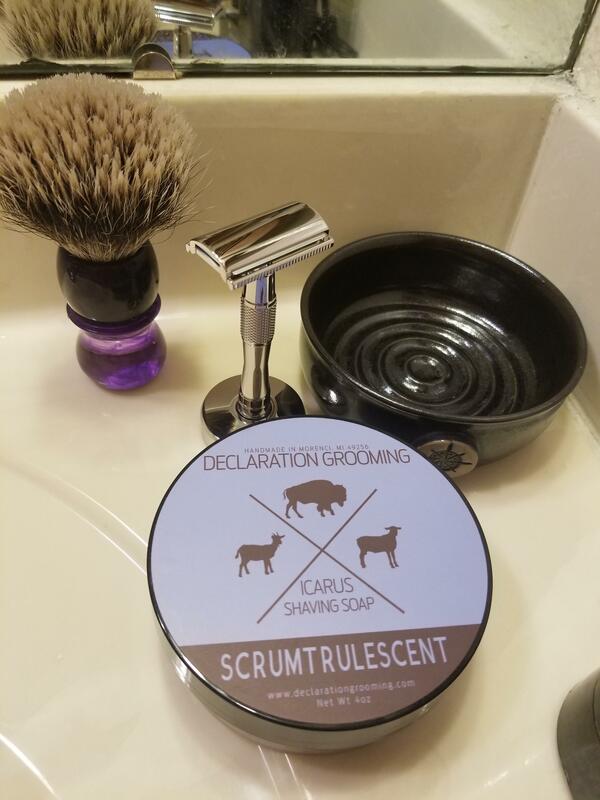 A lot of effort went into getting it and the shave is divine when you get it dialed in.